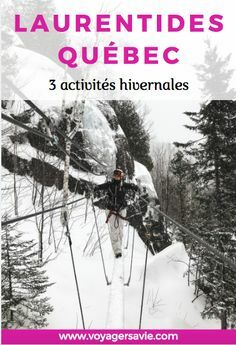 The Laurentian region is renowned for its vast forests, beautiful mountain landscapes and lively villages. 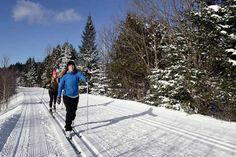 Winter sports enthusiasts are invited to come try one of our many centres and parks offering cross-country ski and snowshoe trails in the Laurentians. Snowshoers and skiers will be spoiled for choice with more than 15 centres, parks and trail networks in the area that cater to athletes of different levels. 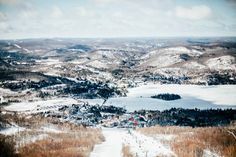 This Holiday season, give the gift of skiing in the Laurentians! Discover the best Christmas 2018 markets in the Laurentians! To the delight of many, the Christmas market tradition is back with increasing popularity in Quebec! 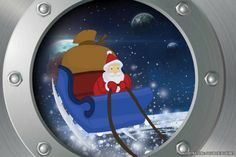 This tradition is an integral part of the Holiday season in many countries, such as Germany, Austria, the Czech Republic, and several other European countries. In Quebec, these festive markets have become a celebration, featuring local artisans and food producers. Celebrate Halloween in the Laurentians! Accommodations – What’s up this summer in The Laurentians? To mark my birthday during a getaway together, my friends had the brilliant idea to book the “girls’ day out” package at the Hôtel Spa Watel in Sainte-Agathe-des-Monts. While it’s true that the wide range of body care treatments offered there – including massage therapy, heated pools, dry and steam saunas and hot tubs – were definitely a factor the next time I was deciding where to stay in the Laurentians, that was not the only one. As lovers of great food, the outdoors and cultural activities, we were thrilled with this four-star hotel on the mountainside and its breathtaking panoramic view. With its 31 beautifully decorated rooms and suites offering spectacular views of the lake, friendly service, quality facilities and dream location, what more could we ask for! Between the Swedish massage, the facial and relaxation time lounging on one of the seven patios with spas and fireplaces, we took advantage of the nearby cycling trail. After our ride, we settled down on the beach right in front of our hotel. Besides swimming, I tried out sailing on the majestic Lac des Sables, while some of us chose other, non-motorized water activities. After a very full day, we went back to the comfort of our rooms to enjoy the bottles of champagne included in our packages, while preparing for the evening. Relaxed and refreshed, we couldn’t resist the call of the fondue – a classic on the menu at Uno restaurant – which helped us hold onto that feeling of relaxation we’d enjoyed since our arrival. After that, we headed over to the Le Patriote theatre, within walking distance of the hotel, where a highly entertaining comedy show awaited us. I will never forget this special time celebrating my birthday with my friends in this charming hotel, which has won several awards, for the quality of service and facilities, and for its environmental responsibility. A real gem that you will enjoy discovering any time of the year, for any occasion!